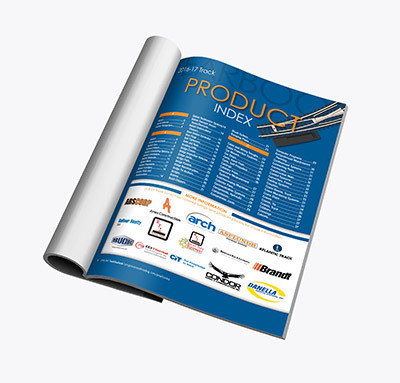 Progressive Railroading's monthly magazines and annual informative buyers guides provide ideal platforms for your brand and message, receiving the most visibility in the industry. If you could read only one of these publications, which one would you choose? Print & Digital One-Two Punch! 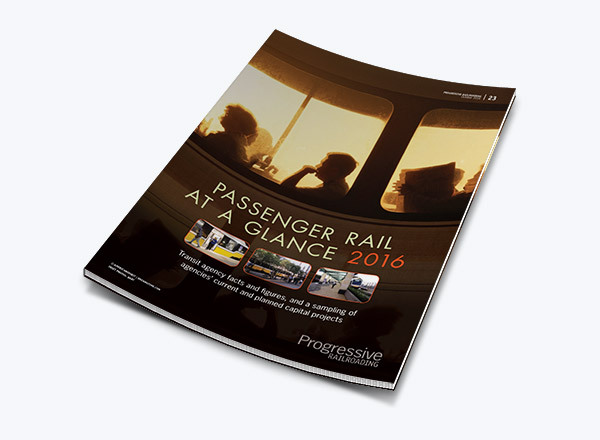 Get more out of your creative by reaching the rail industry both in print and digitally. We will do the work of digitizing your print ad for use as an email blast. For no extra creative expense, you get the benefit of amplifying your message by increasing your exposure across platforms to a larger group of this key audience. 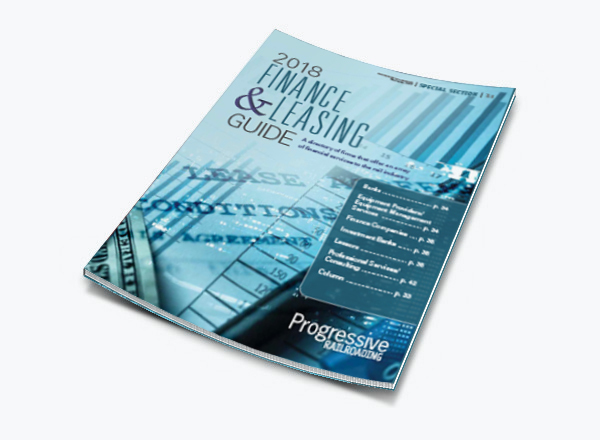 A directory of finance-related resources — including banks, lessors, finance companies and professional services providers. A single-source reference and buyers' guide featuring listings in dozens of essential product categories. A unique compilation of data on U.S. Transit Agencies, their budgets and significant projects. 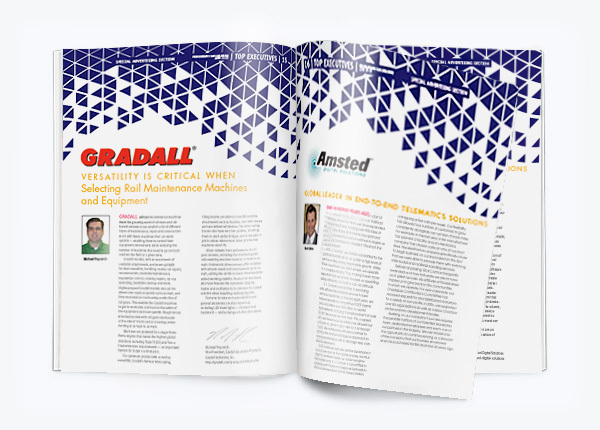 A special section where your company can be a thought leader on hazmat transport, IT security, and more. Discuss a pressing problem, ongoing issue or hidden risk related to rail security and how smart railroads, transit agencies or intermodal companies are addressing it. Company message: Maximum of 400 words discussing a pressing problem, ongoing issue or hidden risk related to rail security and how smart railroads, transit agencies or intermodal companies are addressing it. Please suggest a headline and, as an option, attribute the essay to someone at your company. If providing a byline, please put the person's name and title at the end of the essay. You may also provide one picture and a caption, but a picture is not required. Text will be edited for grammar and style, the picture will be sized based on space, and both will be flowed into our page template with your logo. You will be sent a copy of the page to review before publication. Logo: CMYK Illustrator EPS (fonts should be outlined so that no fonts are needed or High resolution PSD or TIFF file, CMYK, 300 dpi, minimum size 5" wide. URL: Send the general or specific URL to be included on the page. Please be sure to indicate the materials are for PR Focus on Rail Security and indicate your company name. Your company's top executive gets the spotlight to discuss new product development, strategic partnerships, custom services, you name it. This special section is the ideal area for your top executive to demonstrate how your company is at the forefront of the rail industry. And now, for the first time, you can digitize your Top Executives in the Marketplace Ad and send it to our entire digital database of Opt-In subscribers with our Rail Market Reporter custom email. 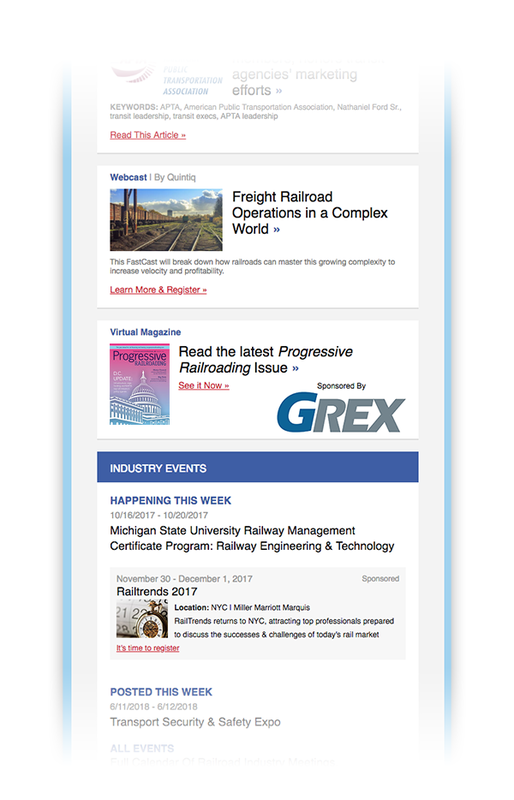 Your message can reach up to 50,000 new prospects in addition to those already receiving the print issue of Progressive Railroading! a) How is your company investing in and serving your customers? b) What is an important trend in the rail industry today and how is your company addressing it? Provide the full name and title of the executive who is answering the question, a possible headline for the essay, and the pieces of art listed below. Text will be edited for grammar and style, and you will be sent a copy of the page to review before publication. Please be sure to indicate the materials are for PR Top Executives and indicate your company name. An advertorial that allows you to present an industry problem and share your company's solution to that problem. 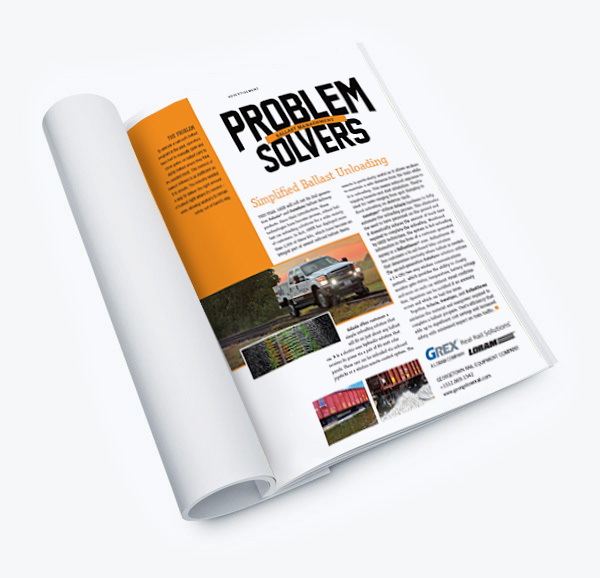 And now, you can digitize your Problem Solvers Ad and send it to our entire digital database of Opt-In subscribers with our Rail Market Reporter custom email. Your message can reach up to 50,000 new prospects in addition to those already receiving the print issue of Progressive Railroading! Company message: Company message text, including contact information and URL, should be no more than 500 words, presented in a problem/solution format. Please be sure to indicate the materials are for PR Problem Solvers and indicate your company name. In-Depth, Informative Feedback About Your Ad From Our Subscribers. Have you ever wanted raw data that shows exactly how the subscribers of the media outlets you advertise with react to your ad? Did they notice it? Did they like it? Did it trigger some type of buying action or recommendation? Our complementary Baxter Ad Studies detail all of this and more. It's a marketer's dream and available to you free of charge when you advertise in the 2019 January, April, July or October issues. GET IN TOUCH WITH US AND WE'LL EMPOWER YOUR MARKETING PLAN IN 2019. 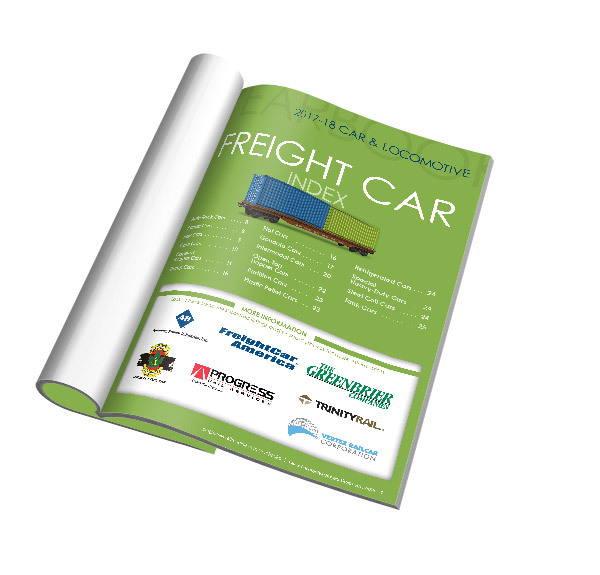 Our Car & Locomotive Buyers' Guide & Yearbook is the industry's most comprehensive products and services buyers' guide. A normal magazine's shelf life is roughly three months. The Car & Locomotive Buyers' Guide & Yearbook has a shelf life of 12 months, as subscribers reference it until they receive next year's copy. The digital Yearbook provides even more exposure, with your company being found the moment users search for products all year long. ProgressiveRailroading.com/railproducts quickly gets users to the product categories they're interested in, and puts print advertiser listings at the top of the list. Circulated throughout mechanical departments. Issues are sent to the chief mechanical officer down to the car foreman and diesel foreman. Your ad is seen by key decision-makers of railroads in the U.S., Canada, and Mexico. 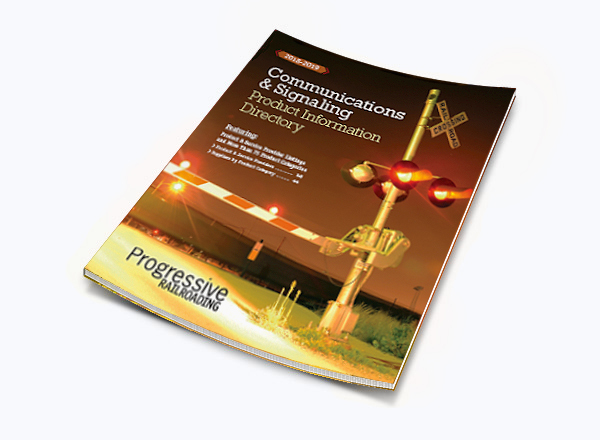 Coverage among car and locomotive builders, private-car owners, utility and energy companies. A print ad with your brand and message is placed near the product area where your listings appear to help ensure users interested in those products think of you at the right time. Non-advertisers receive up to three free listings. Advertisers, however, can command attention by enhancing their product listings. Advertiser listings are highlighted in color and can be further enhanced with photos and descriptions. Only advertisers are allowed photos and descriptions with their product listings. Only advertisers get their company logo on the Product Index pages. Your logo also appears in the Manufacturer Index, above your company's highlighted information, to draw additional attention to your presence in the market. Ad size of 1/2 page and larger: Select an unlimited number of product categories, and run a product photo and description (up to 100 words) with each. Ad size of less than 1/2 page: Select up to 10 product categories, and run a product photo and description (up to 100 words) with each. Progressive Railroading's Buyers' Guides & Yearbooks also live beyond the printed page. Users who prefer a digital directory access our product listings online every day. Our searchable online database of railroad products is incredibly popular, boasting more than 110,000 unique visitors in a calendar year. Our online product database is optimized for search, and our print advertising package is optimized to give you maximum exposure in both mediums for the cost of only one placement. Your print ad gives you preferred placement in the online product category listings, helping users discover your company the moment they search for products. 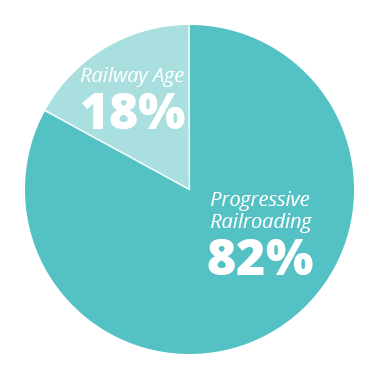 When users visit ProgressiveRailroading.com/railproducts, they quickly get to the product categories they're interested in and see the listings of print advertisers at the top of the overall list. Another way to get your buyers' attention at the moment they're ready to be influenced is to purchase a Technology Innovators Advertorial page. This premium upgrade is available only to print Buyers' Guide & Yearbook advertisers. 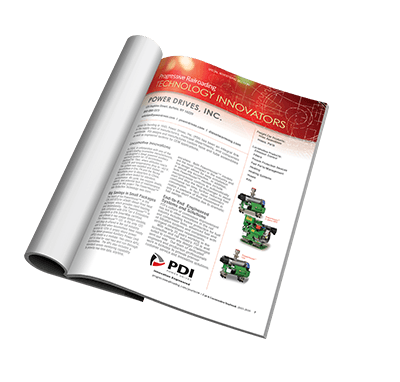 The Technology Innovators Special Advertising Section appears at the front of the printed guide, profiling a vendor's experience, R&D investments, new products, and other advancements. This custom page allows you to craft an in-depth message that can encourage buyers to do business with you. Contact information: We will pull your company name, address, phone and product categories from your yearbook entry. Send all of the above to products@progressiverailroading.com. Be sure to indicate the materials are for "PR Technology Innovators" and note your company name. A proof of your Technology Innovators page will be sent to you for approval before publication. 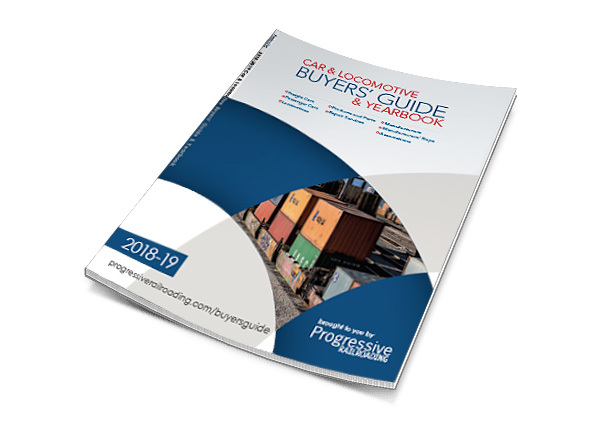 Take advantage of these opportunities to build your brand, increase product awareness and have a commanding presence in the Car & Locomotive Buyers' Guide & Yearbook. 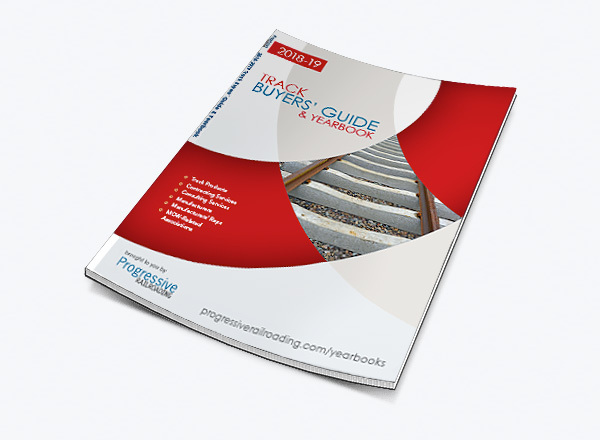 Published in November, Progressive Railroading's Track Buyers' Guide & Yearbook is the most comprehensive guide to track products and MOW services in the industry. Recipients keep it nearby year-round until next year's copy is delivered, meaning your ad generates impressions for 12 months. Your print ad also gives you preferred placement in the digital version of the Yearbook, which allows users who prefer digital directories to discover your company the moment they search for products. ProgressiveRailroading.com/RailProducts quickly gets users to the product categories they're interested in, putting print advertiser listings atop the overall list. Reach key buyers with the desktop reference they trust. Your ad is seen by key decision-makers of railroads in the U.S., Canada, and Mexico. Circulated throughout maintenance-of- way departments, copies are sent to track supervisors, senior structural engineers, supervisors of structures, road foremen and supervisors of rail welding, along with other maintenance-of- way professionals. Grab buyer attention when they're ready to buy with photos and descriptions. 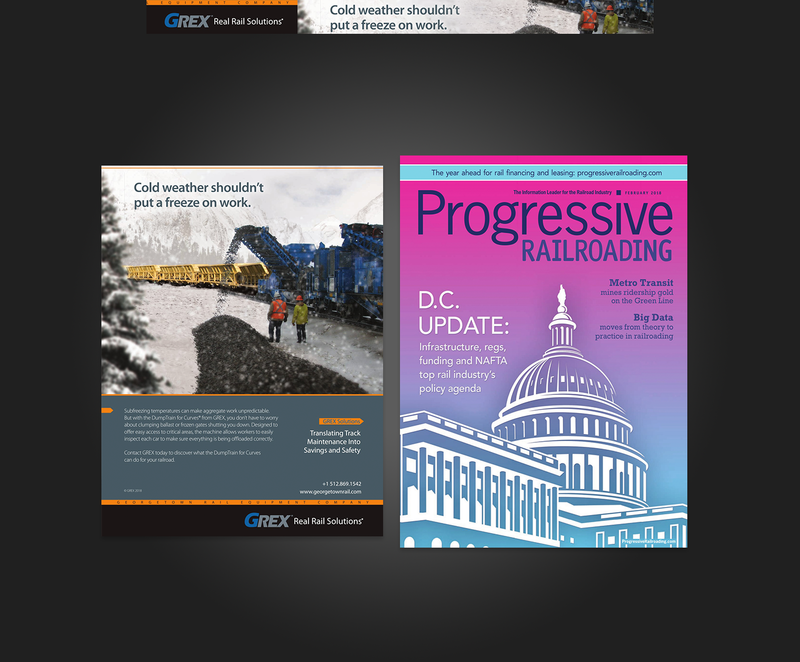 The Virtual Edition of Progressive Railroading is a fully interactive copy of the print magazine. Virtual Edition sponsorship consists of a full-page ad placed across from the front cover, an exclusive top-of-page banner visible on every page, as well as sponsor recognition once a week for four consecutive weeks in our popular Daily News eNewsletter*. *The promotion in the Daily News will begin approximately one week after the print version is published. Live matter must be kept 0.5 inch away from untrimmed edge and allow 0.25 inch clearance for gutter. Because your best presentation is important to us, we have written this 10 STEP GUIDE to help you obtain maximum quality prior to us submitting your ad to the printer. All color photos must be converted to CMYK, with total ink limit of 300%. Click here for the quickest way to alter ink density levels. Trade Press Media Group, Inc. pre-flights all files to the best of our ability. If we spot potential problems we will attempt to correct them. Due to the complexities of files and varied design techniques, we cannot be responsible for catching all trapping issues, typos or postscript errors. Publisher's Copy Protective Clause: Advertiser and advertising agency assume liability for all content of advertisements printed, and also assume responsibility for any claims arising therefrom made against the publisher. Publisher reserves the right to reject any advertising. Publisher is not responsible for errors in key numbers or index of advertisers. Short Rates and Rebates: Advertisers will be short rated if within the 12-month period they do not use the number of insertions upon which their billings have been based. Advertisers will be rebated if within the 12-month period they have used sufficient insertions to earn a lower frequency rate appearing on this card. Rate Protection Clause: A minimum of 90 days notice will be given preceding any rate increase. On effective date of new rates, earned frequency on space run to date will apply to new rates. Contracts in force at time of rate announcement will be honored.